Celebrating Mother’s Day with Fun Filled Activities! Eastin Hotel Kuala Lumpur has always been a popular hotspot for many, especially during special occasions and festive seasons. 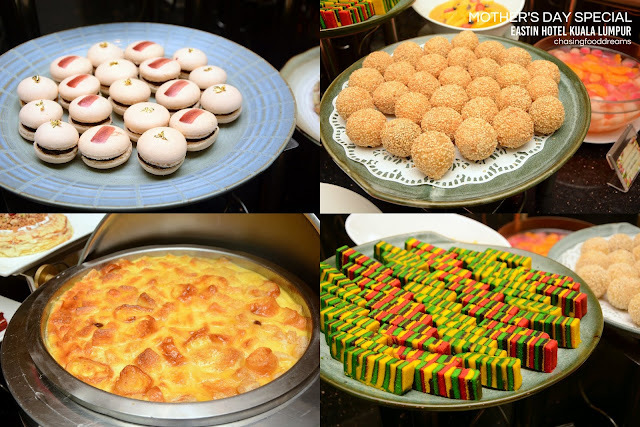 From the hotel’s many fine restaurants serving Chinese, Japanese as well as international cuisine, diners are always in for a sumptuous dining experience. 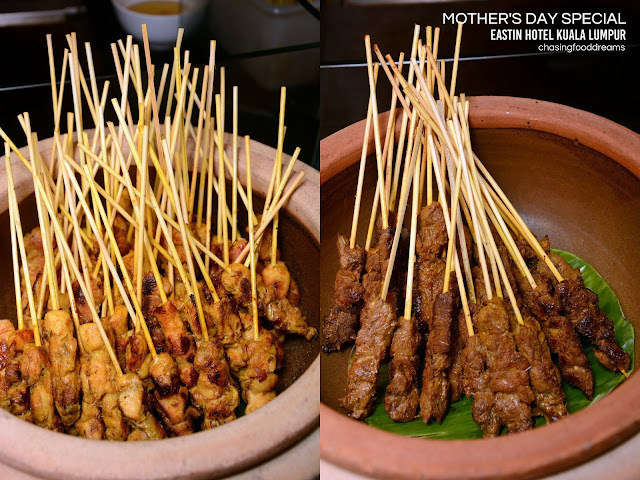 For the recent Mother’s Day, Eastin Hotel’s all-day dining Swez Brasserie presented a Mother’s Day Special to honor all the special mothers and their family. Every mother is special in her own way. Mothers are priceless and I only realize more so when I myself became a mother to my little one. 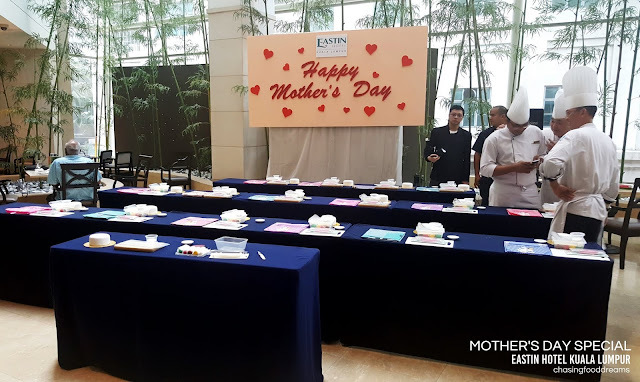 Wishing I could spend more time with my own mom, it was nevertheless a lovely one this year as we were invited to be a part of Eastin Hotel Mother’s Day Special with my family. Swez Brasserie was dressed for the occasion with lots of pretty banners, balloons and flowers. The whole restaurant was packed and even the lounge had tables all set for the occasion. 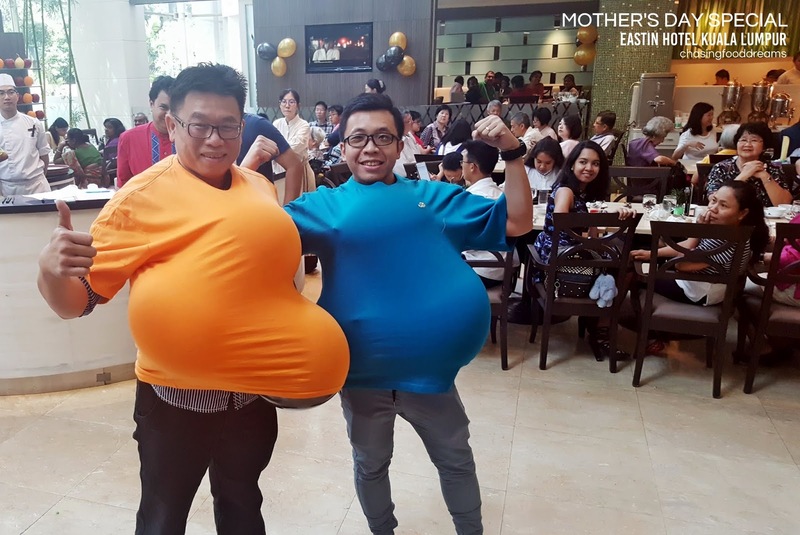 We knew the day was not only going to be a delicious one but also a fun-filled one as the buffet includes some activities for everyone from mothers to fathers and their children. There was even a pretty backdrop for photos ops! The restaurant was filled with a hype of kitchen and wait staff scurrying around to get the buffet and table setting ready before diners arrive. Glad we were there early as we got to check out the yummy buffet spread and take some photos before diners arrive. Peking Duck, beautifully lacquered and roasted to glorious crisp skin sat under heat lamp waiting to be sliced and served with thin steamed pancakes, scallion, cucumber and hoisin sauce. These were so good, there was always a constant queue for these delectable treat. Pretty and yummy canapes of Smoked Salmon, Grilled Chicken, Shrimp and Egg as well as mini Egg Sandwiches are popular hits with everyone at the appetizer and salad bar. There are also plenty of salads, DIY salads, Rojak Buah, Sotong Kangkung, Pasembur Penang and more to please local palates. Comfort food is great for the occasion, especially when there’s plenty of elderly diners who can enjoy bowls of hot porridge served with various condiments of salted egg, century egg, pickled radish, salted black bean fish, peanuts and more. The little ones had a whole corner of treats which include some breakfast delights of hash browns, sausages, beef bacon, mini burgers, mini hotdogs and nuggets. There was also international dishes of Beef Lasagna, Lamb Kofta, Liguria Braised Chicken with Grapes, Spicy Mussels, Potato Salmon and Spinach Pie. 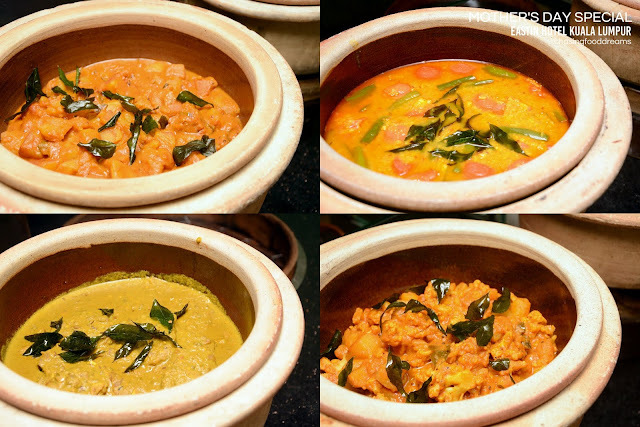 Oodles of noodles from Curry Laksa to Fishball Noodle Soup and more had plenty of diners slurping happily. They even setup a Popcorn Cart for the kids hence the happy smiles from my little one and Sam! After the buffet, the activities kicked off with a Mother’s Cake Decorating competition. 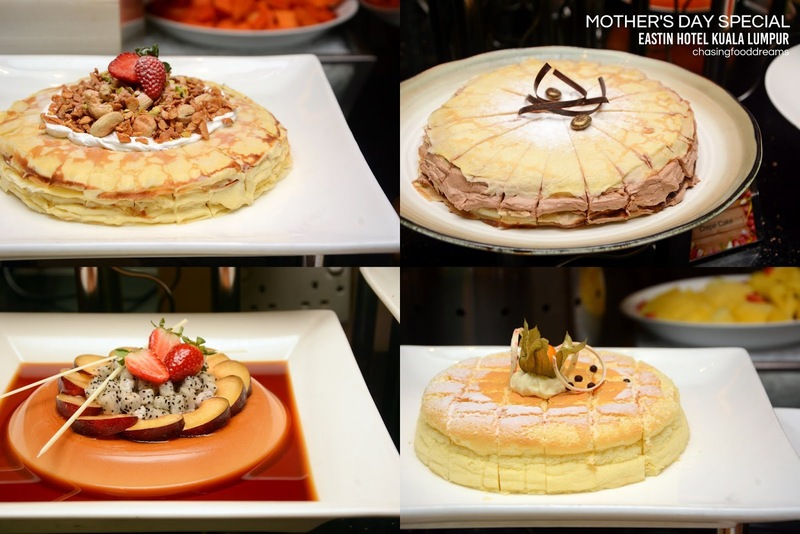 The pastry chef had a quick demo to the mothers and their child, then it was a 30 minutes of competition for them. Merryn and her son, Ethan, as well as Choi Yen and Sam participated in the completion. Congrats to Merryn who won the competition! 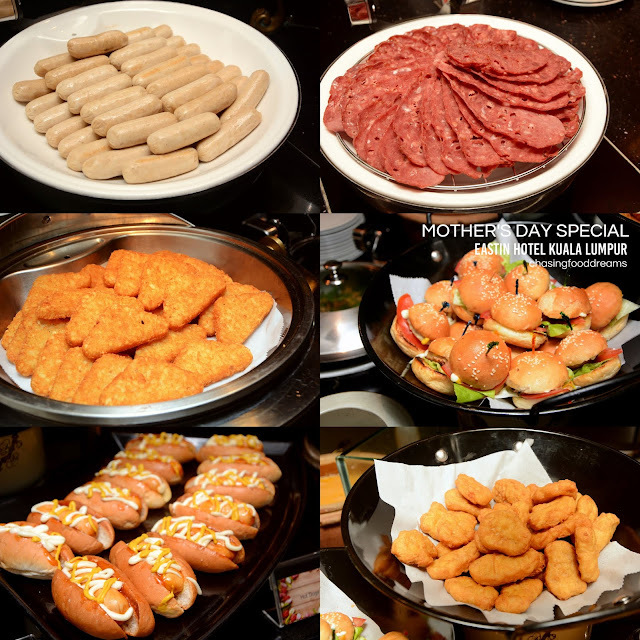 Many prizes were won, including hotel stay and buffet vouchers that day. 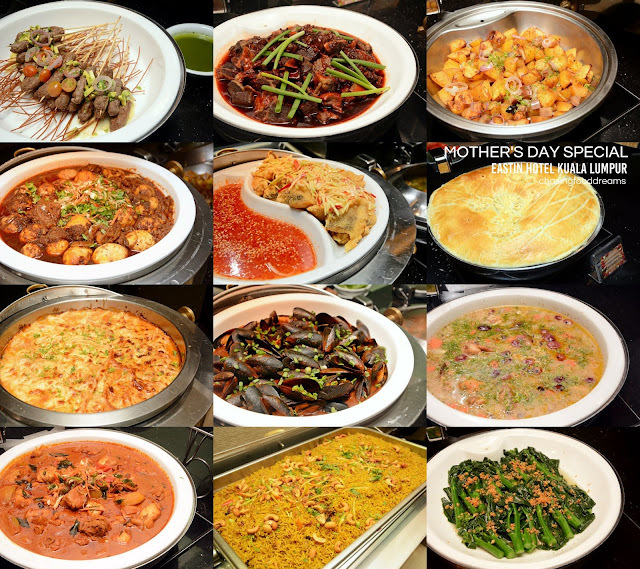 It was certainly an unforgettable Mother’s Day Special at Swez Brasserie. 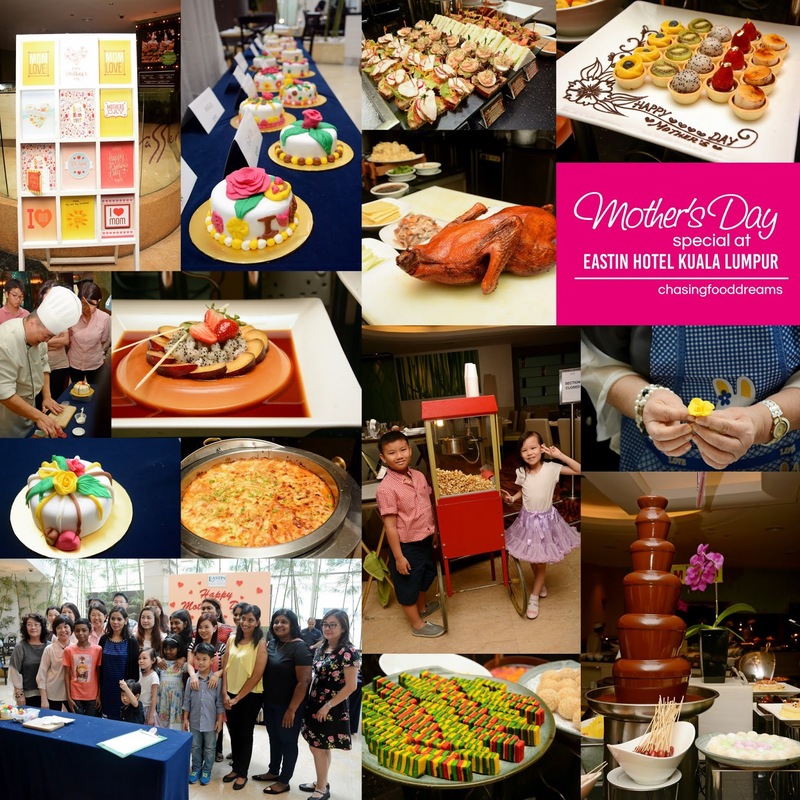 Kudos to all the staff who worked extra hard in making this Mother’s Day extra special and extra memorable. Make sure you check out the Eastin Hotel’s Facebook and website for more festive upcoming events!